Do you want to laugh? Do you want to get a good laugh? Then call in sick, do not pass go, do not collect $200 and head to the movie Spy right now. I am telling you that I laughed for the full length of the movie. 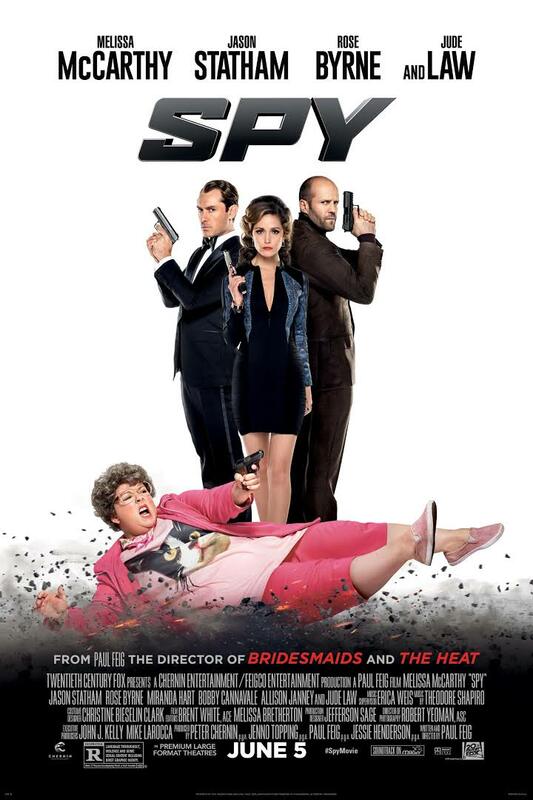 Melissa McCarthy killed it. Plus, while it’s a sort of an absurd movie, she grounds it in a reality that’s just enough to keep you believing. I admit to thinking it might have a giggle or two in it, but it was an all out festival of guffaws. I am also buoyed by the fact that this woman, who is by all assessments is not a stick thin model type was the lead, and is pulling in audiences in big numbers. This is hopeful. Get dressed, brush your teeth if you feel like it (I mean who is going to be at a Monday matinee), get in the car and hit the early show. I’m telling you, it’s worth every second of your time.